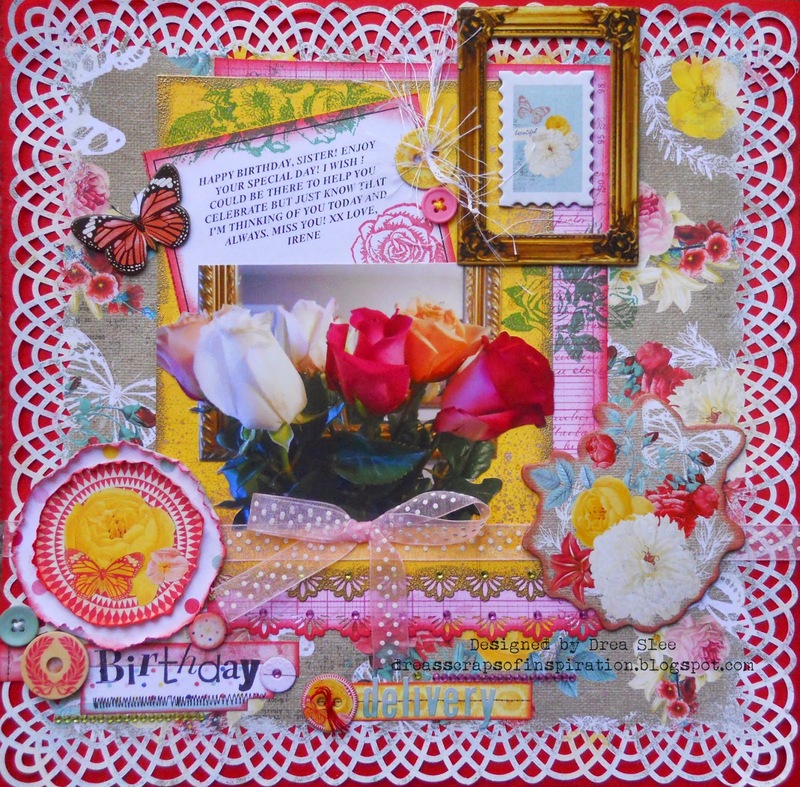 Drea here with another layout using Bo Bunny's Sweet Life I Want It All Bundle from FotoBella! I scrapped this photo of the flowers my sister sent me for my birthday, fussy cutting the flowers and mirror. I used a border punch around my floral paper, and painted the edges white, before adhering it to red cardstock. Then I layered and punched the yellow and pink papers that I got from the Ephemera. I inked the edges of the pink paper with the new Distress Ink (Abandoned Coral), and used gold embossing powder on the edges of the yellow paper. I gave the yellow paper a few sprays of Lindy's Stamp Gang (Gold Daubloons) and Distress Spray Stain (Antiqued Bronze). From the Ephemera I also used some yellow and pink bling, which I added to the punched edges and with my titlework. I did some stamping with the new Floral Stamps and on the message that was included with my flowers. 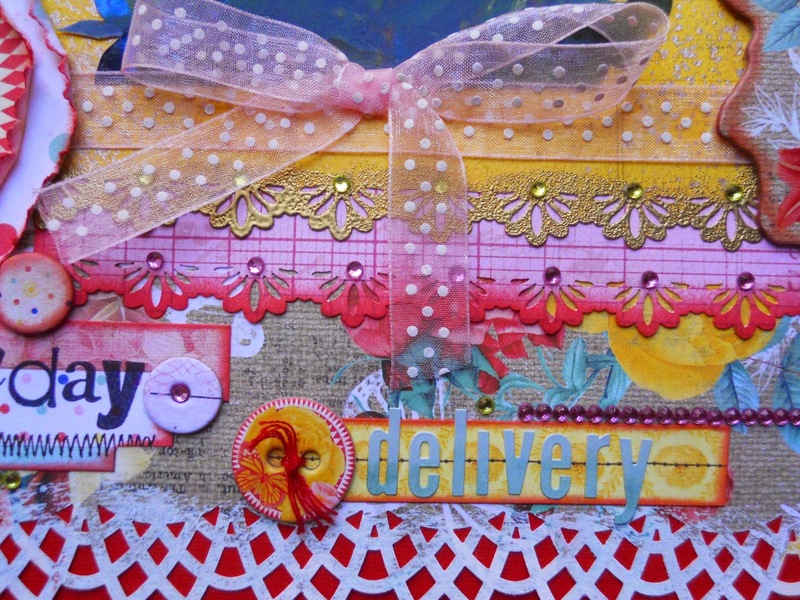 I also stamped birthday and used the alpha stickers from the 12 x 12 Pack to spell delivery. Then I just scattered some Chipboard pieces and Buttons around, tying it all up with the pink, sheer, ribbon that also comes in the Ephemera. Wow! I just love the bright colors! It's so pretty and so springy! You need to get a frame for this and put it on the wall! Absolutely gorgeous LO Drea! All the layers are stunning!